HackPGH is a non-profit, community-based workshop that allows members to come together and share skills & tools to pursue creative projects. Our membership is open to everyone but typically comprises inventors, engineers, scientists, programmers, hobbyists, artists, roboteers, families, entrepreneurs, arts, and crafts enthusiasts, and students. Our focus is on collaboration, education, and community outreach. We're a benevolent group and do not promote or condone illegal activities. The term "hacking" is used in a benign sense, in the context of deconstructing and understanding objects and systems and re-purposing existing materials for new and innovative uses. If you would like to check out the space tours are given every Monday and Saturday at 7:30pm with training on tools and equipment for new members following immediately after at 8pm. Details on most events are posted to the blog on our main page somewhere between a few days and a week prior to the event. We host several outside groups who meet in our space and whose events are also open to the public. Check out the calendar on the right for those and other events and activities. You can also put 1960 watson street, Pittsburgh, PA into your GPS. HackPGH is a 501(c)3 non-profit public charity. 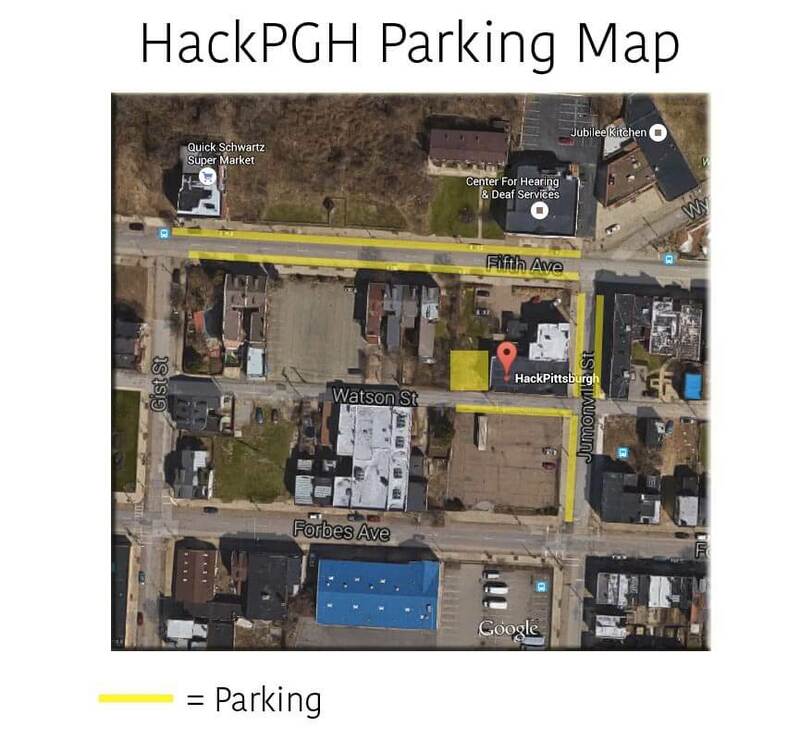 Everyone (member or not) who donates to HackPGH will receive a tax receipt for their contribution - this includes donations of both money and items! HackPGH has no employees, but is governed by an elected Board of Directors. We take positive action to continually ensure equal opportunity to our members, visitors, and Board of Directors in all of our activities!